Thousands of years ago the Ayakashi, monsters of both beautiful and grotesque natures, were real. Thousands of years later, they continue to exist, and in all this time the Ayakashi and human races have co-existed in an uneasy alliance. Strange things begin to happen. More humans meet their untimely deaths at the hands of Yori Chiisai, the Lesser Ayakashi, the weakest of all. Oni -demons of the most frightening calibre -attack mindlessly, the Lower lashing out at a larger scale than has ever been while the Greater Oni retreat to the shadows of the world. Hengen, the Greater Ayakashi, start to disappear, one by one; and the Kamigami, gods who lie to preserve themselves, are withdrawing from the very world they are meant to watch over. Embroiled in the turmoil are five people who each have their own pasts shrouded in secrecy and stories they do not wish to tell. At the centre of a conspiracy spanning thousands of years and worlds of which she will never be a part of is Pai, a young girl who lost the memories of three years of her life. Another of the five whose fate is forever tied with hers seeks to protect those he loves, without knowing how to control the darkness in him that would seek to harm those people. And one who would shroud himself in shadows of fire holds the key to the secrets of the past and knowledge of how to unlock the door leading to the future of survival - and the answer to the question that cannot help but be asked; what changed? 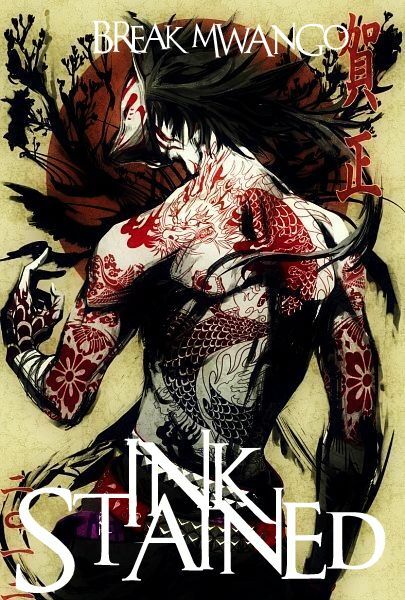 Read INK STAINED on Wattpad for FREE!